UFS 3.0 was unveiled a year ago, but we’re yet to see phones use it. Rumor has it that the next OnePlus phone will make the switch from the current UFS 2.1 to 3.0. 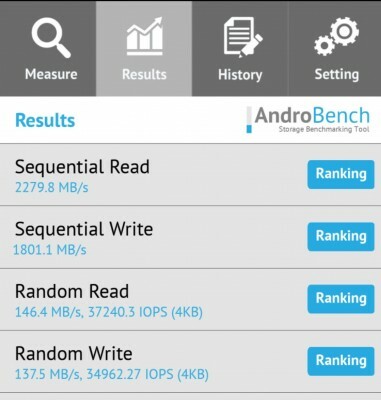 @IceUniverse posted a screenshot of a storage benchmark and it looks quite impressive. The new standard promises to be twice as fast (while using less power to boot). Here’s a quick comparison with the current OnePlus 6T (UFS 2.1), the improvement is significantly higher than 2x. The sequential speeds and the random write in particular show massive gains. Unfortunately, the screenshot doesn’t show the storage capacity of this upcoming OnePlus phone. Starting with the 6 OnePlus moved from 64GB to 128GB as the base storage option and the higher capacity option is 256GB. We’ll see if this sticks for the next generation.